KEN YUSZKUS/Staff photo. 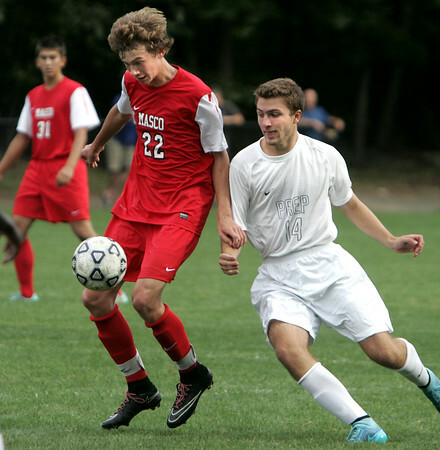 Masco's Bryan Gilbert stops the ball with his knees as St. John's Prep's Chris Chilton swoops in during the Masconomet at St. John's Prep boys soccer game. 9/14/15.